I like to try and use new products when it comes to makeup. However, I’m quite particular when it comes to base products since I believe it can either make or break your look. Since I have dry skin, I have to choose products that do not dry out my face or make my makeup look ashy and patchy. This time I thought of trying out the newly launched Oriflame The ONE Pore Minimising Primer and see how it works on my skin. Here are my views on this primer. I was recently looking out a primer that smoothens out my skin and minimising the appearance of pores and I came across the Oriflame The ONE Pore Minimising Primer. I have used many products from Oriflame, especially their wide range of lipsticks, and I’ve quite liked them. Since I have dry skin, I made sure that I moisturise my face properly before applying the primer and doing rest of the makeup. I then took a pea sized amount of the primer and spread it evenly before patting it onto my face. 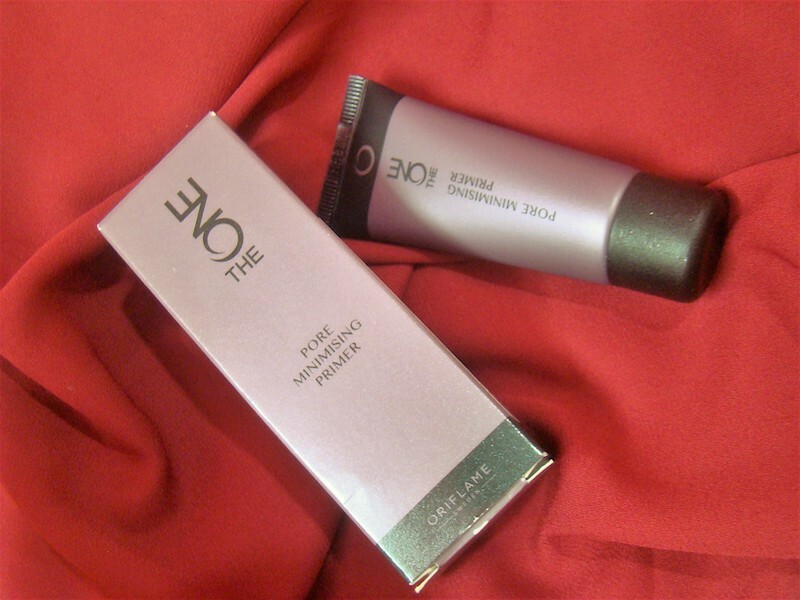 Oriflame The ONE Pore Minimising Primer took no time to seep into my skin and to my surprise it immediately smoothened out my skin. The pores were also visibly reduced, and my face looked quite flawless. The thing I like about this primer is that it is made with pore blurring technology and contains Vitamin E which is very good for the skin. Also, it claims to provide a soft-focus effect to the skin. I did the rest of my makeup and wore it for around 5-6 hours and it was all in place throughout the time. I like the primer upto an extent. The only thing I wish was more is the quantity. The Oriflame The ONE Pore Minimising Primer comes in 20ml tube and costs ₹ 649, which I find a bit steep for the quantity. Overall, Oriflame The ONE Pore Minimising Primer works very well on my skin and would look forward to use it for my upcoming looks. I would recommend it for people of all skin types, but for the oily beauties out there, this is a boon since it absorbs all the excess oil. CLICK HERE to buy Oriflame The ONE Pore Minimising Primer online.